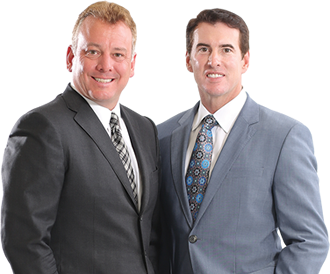 BCN Law Firm partners Wade Boyette and Heath Nailos have a well-earned reputation for “doing good” for people, businesses and organizations. We handle a wide range of legal matters including real estate, foreclosure, bankruptcy, personal injury, business, family law, Medicaid and VA planning, estate planning, and Social Security and other disability. After helping clients, organizing many of the businesses in South Lake County and building lifelong relationships along the way, Wade Boyette and Heath Nailos are now bringing the same excellence in legal care to individuals, families and businesses in The Villages® community, and those in surrounding Lake, Sumter and South Marion County communities. Our new office, located between Spanish Springs® and Brownwood® on highway 466 in the Santa Fe Professional Center, is also just minutes away from Lake Sumter Landing®. Our location is also convenient to clients in Wildwood, Oxford, Sumterville, Bushnell, Stonecrest, Spruce Creek, Del Webb Spruce Creek, Lady Lake, Fruitland Park and Leesburg. In turn, they get to know you. Doing so helps them get to know your situation, understand your legal needs, and helps them anticipate problems and opportunities before they arise. It also allows them to adapt quickly to unexpected developments. Behind the scenes, Mr. Boyette, Mr. Nailos and their team keep pace with ever-changing laws and the impact they may have on clients. They realize, too, that in today’s economy, it is more important than ever to keep a careful eye on the bottom line to efficiently manage your costs. Our clients’ specific needs are all different. We are honored to help you with yours.